Our club is located in the Hackensack/Longville are of Cass County, in north central Minnesota. We belong to the Chambers of Commerce of both cities. About half our 400+ members live here, the other half have seasonal homes or cabins in the area, and live across Minnesota and Iowa. We also have 30+ business members in the area that support our club. 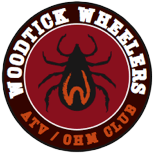 And we encourage all OHV riders to give them your business throughout the year.